Dr. Deepika Aggarwal has 19 years of clinical experience including 13 years of enriched experience as an Obstetrician and Gynaecologist at a number of hospitals across London and the UK including Surrey and Sussex Healthcare NHS Trust, Whittington Healthcare NHS Trust, Frimley Park Hospital NHS Trust and Queen Elizabeth Hospital NHS trust. She has completed her MBBS and DGO from Maulana Azad Medical College, and MRCOG and CCT from London. She has been awarded FRCOG (UK), the most prestigious RCOG (London) award as a recognition of her contribution and achievements she has made to the specialty over the last 12 years. She is RCOG (London) accredited for open and endoscopic gynaecology surgery, RCOG (London) accredited for advanced delivery suite practitioner and a BSCCP (London) accredited colposcopist. A member of the Royal College of Obstetrics and Gynaecology, London, she has developed and implemented several audits and evidenced based policies for hospitals in London and has authored several publications in international journals. 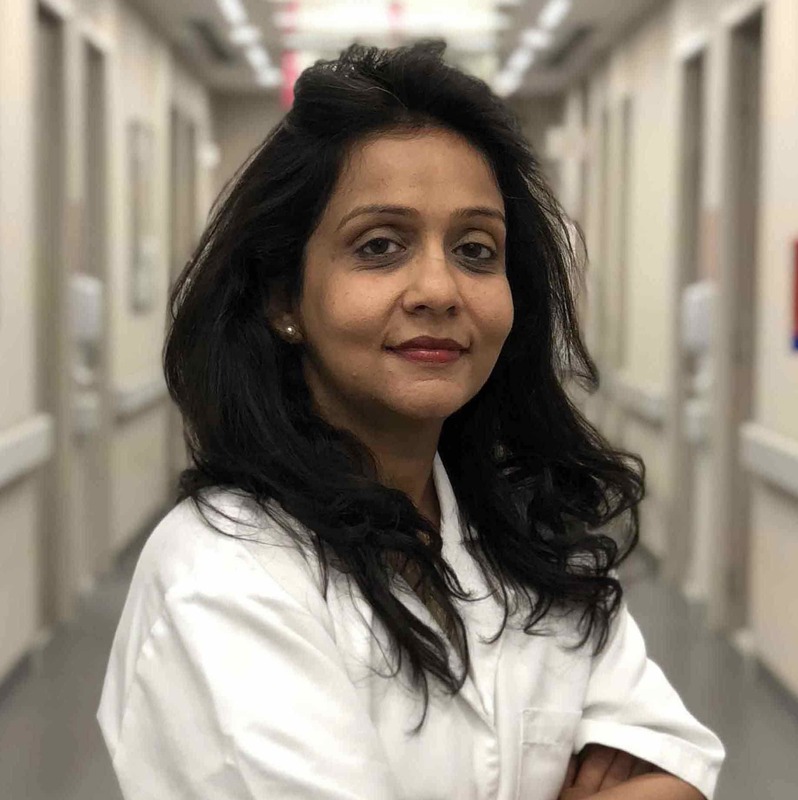 Her expertise lies in high-risk pregnancies, normal deliveries, vaginal birth after previous caesarean section, managing recurrent pregnancy losses, endoscopic surgery (operative Hysteroscopy and operative laparoscopy), cervical screening for cancers and colposcopy.